Welcome to the home of the GURPS NPC Generator. 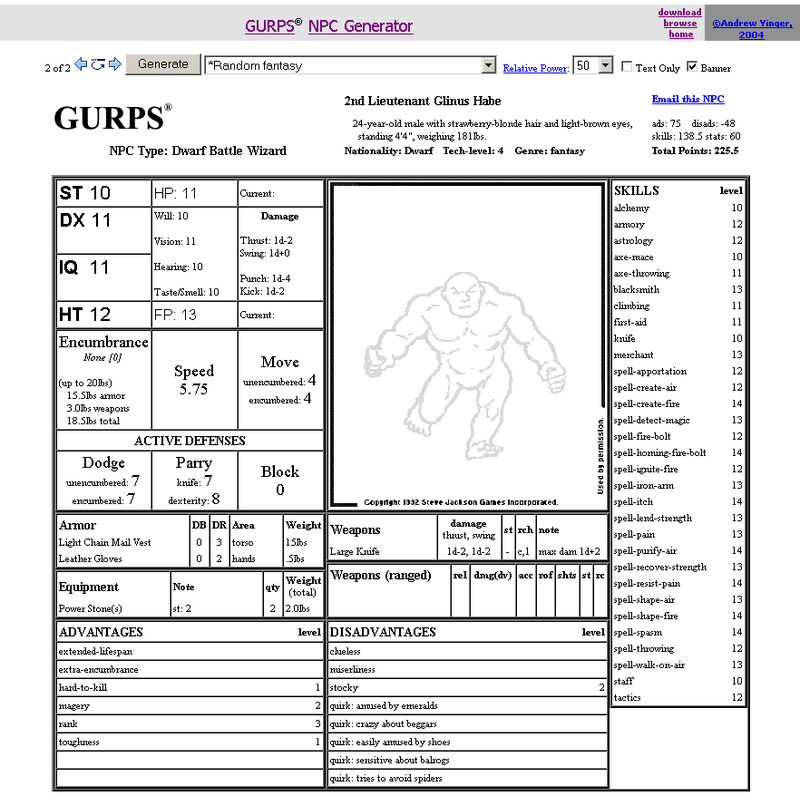 Use the new Online version of the GURPS NPC Generator! Use the Online version (now optimized to work on multiple popular browsers). Browse the NPC generator database. Download the New Windows version! New spells found in the NPC Generator. Fantasy weapon stats based on the latest data files in the GURPS NPC Generator. Fantasy armor stats based on the latest data files in the GURPS NPC Generator. What is an NPC Generator? Q: How can I generate an NPC with a set number of points? A: Download the Windows version, and click Generate New NPC with points. 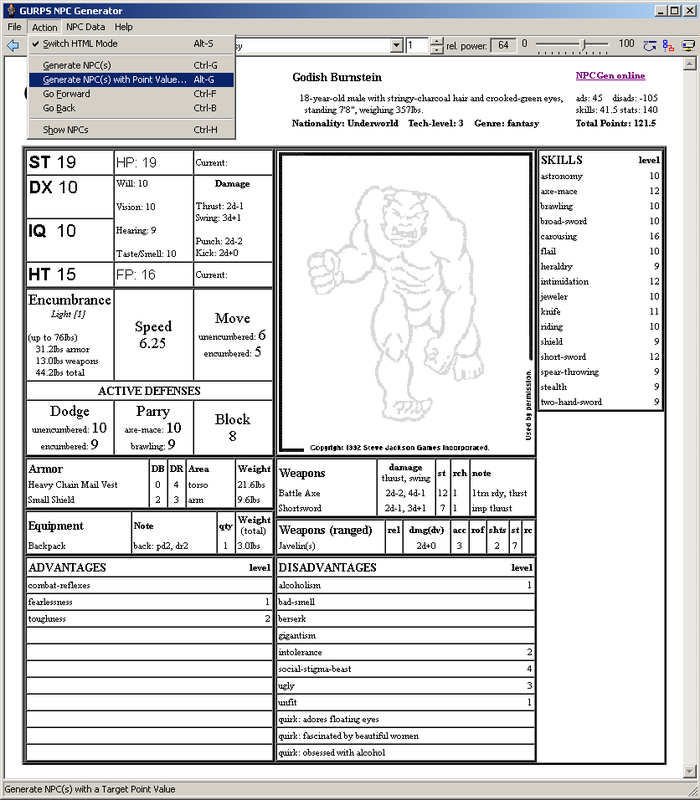 Q: How do I print an NPC so that it fits on a single page in IE? 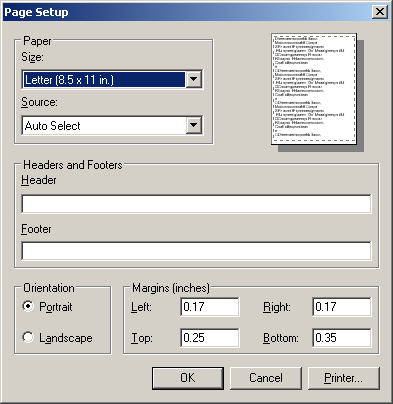 A: Set your left/right margins to 0.17 in IE Page Setup, like in this Screen Shot. Can I see the source code, please? What are the rules for the new spells that some NPCs seem to have? Q: How do I save an NPC to the NPCGenBrowser? A: Download the Windows version, and click Save to DB. Ok, I downloaded it. Q: What is this Synchronize thing? A: An RPC Server Client. Q: Should I keep a box of kleenex handy while I play Senseless Combat? A: Yes. You will most likely cry uncontrollably while playing this heart-wrenching game. How can I create my own NPC classes? 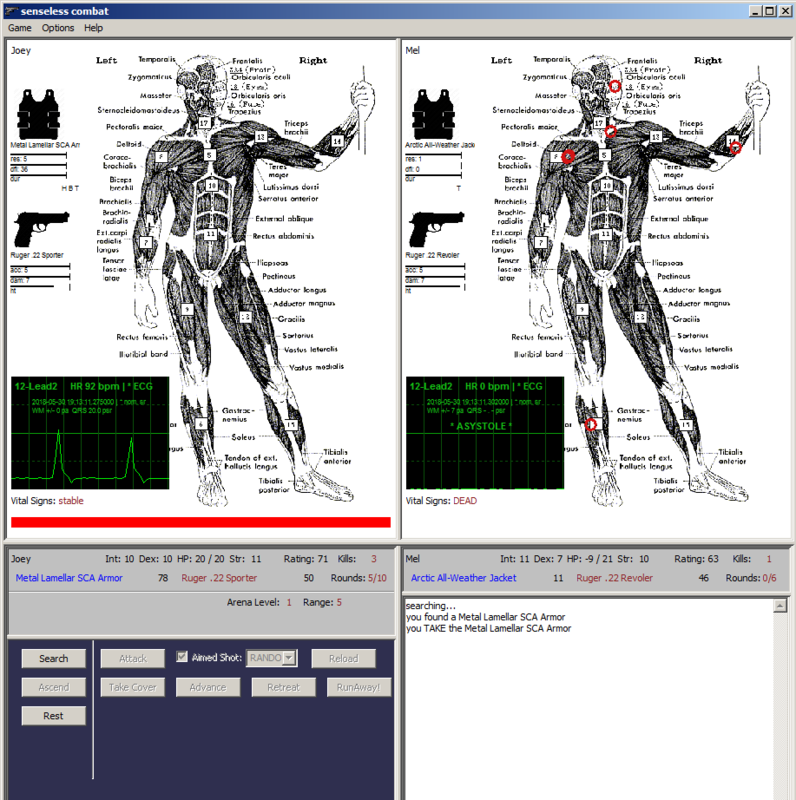 This app server was developed using WebWare.